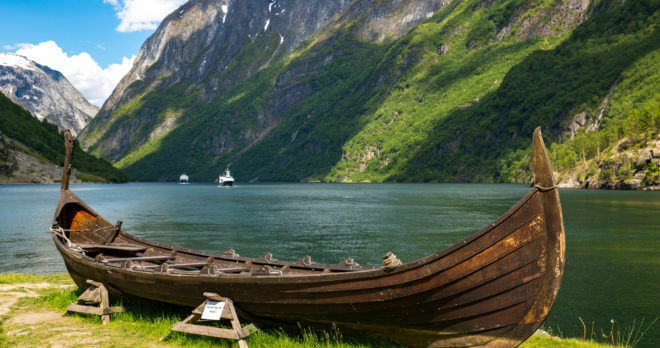 Fjords of Norway - NEW FOR 2019 | Fully customized itineraries to Europe, Central and South America. Your tour, your way. 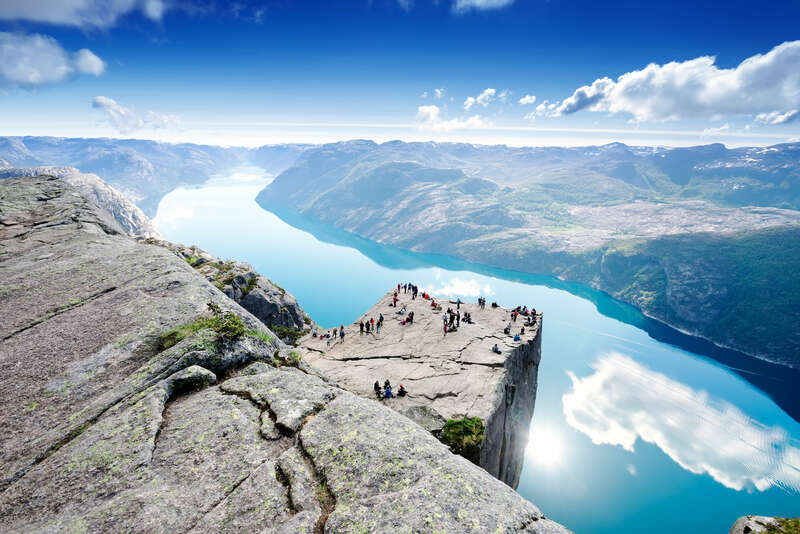 The Kingdom of Norway is well-known for its vast fjords, jagged coastlines and incredible landscapes. 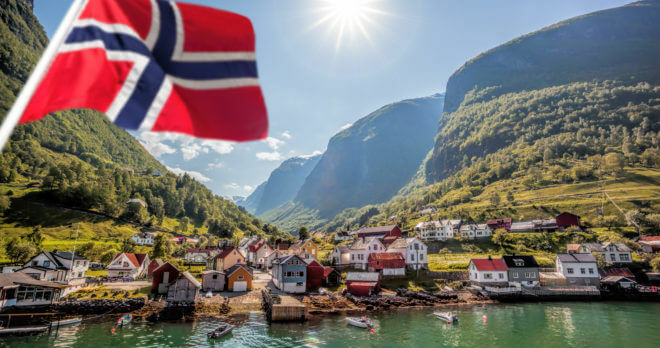 On this 8-day introductory tour, travel from Oslo by train, the fastest growing capital in Europe, overnight in Flåm and continue on to Bergen. With endless summer days and magical Northern Lights in the winter months, Norway is truly one of the most beautiful countries in the world. Price as indicated valid April 1, 2019, based on two passengers travelling together. Subject to availability at time of booking. For alternative dates, inquire for pricing. Itineraries are fully customizable. Not valid during trade shows,bank holidays and other special events.Blackout periods may apply. OSLO Welcome to Oslo, the capital of Norway which sits on the country’s southern coast at the head of the Oslofjord. Upon arrival, you will be met at the airport and transferred to your hotel by private vehicle. OSLO After breakfast, make your way to your meeting point to begin your shared half-day city tour of Oslo including the cozy city center, Holmenkollen ski jump, Vigeland Sculpture Park, a visit of your choice to either Fram Museum, with the polar ship Fram, or to Kon-Tiki Museum with Thor Heyerdahl’s rafts. Visit the open-air museum on Bygdøy Peninsula and its world-famous Stave Church. OSLO – FLÅM After breakfast, check out of your hotel. Make your way to the train station located beside your hotel. Depart westbound by train through scenic mountain terrain on the Bergen Railway to Myrdal. Upon arrival, disembark and change trains to the legendary Flåm Railway, which offers spectacular panoramic views of some of the wildest and most magnificent landscapes in the Norwegian fjords. See rivers carving their way through deep gorges, waterfalls leaping off steep mountainsides with snow-capped mountain peeks as well as mountain farms clinging to steep slopes. Arrive at the small village of Flåm, located at the innermost bank of Aurlandsfjord. Make your way to your hotel, a short walk from the train station where you will spend the night. FLÅM – BERGEN Check out of your hotel. 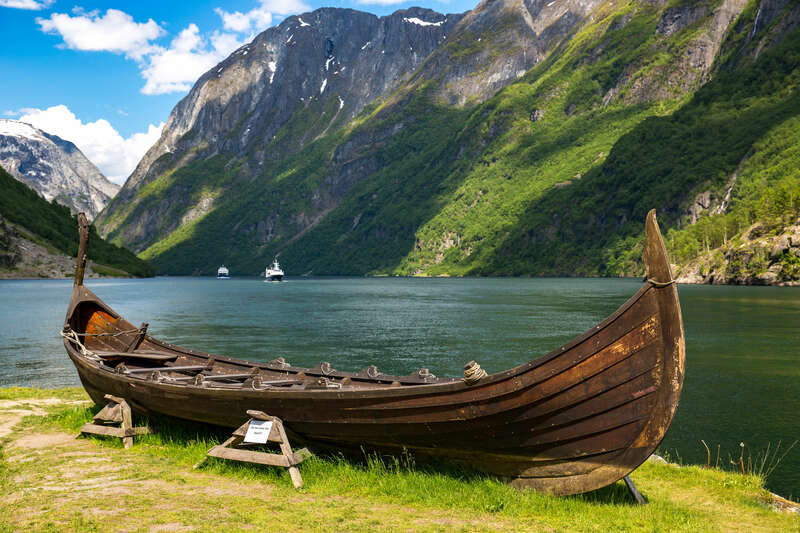 Make your way to the docks and begin a fjord cruise on the magnificent Aurlandsfjord and Nærøyfjord, one of the most narrow fjords in Europe and included on UNESCO’s World Heritage List. Arrive in the small village of Gudvangen. 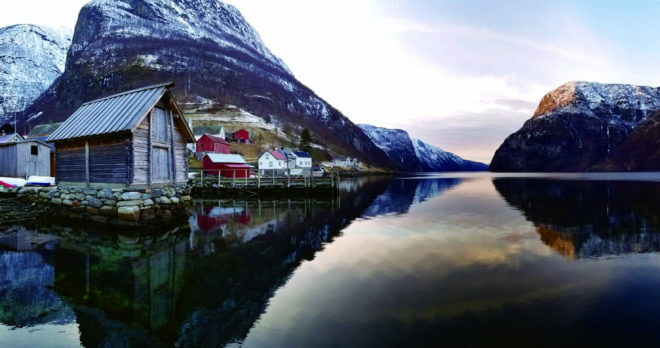 From here, take a bus trip through Nærøydalen valley, with its charming villages and scenic nature landscape. From May-September, the bus travels down the steep hairpin bends of Stalheimskleiva. Arrive in Voss, dubbed Norway’s adventure capital, where you board your train and continue on the Bergen Railway. 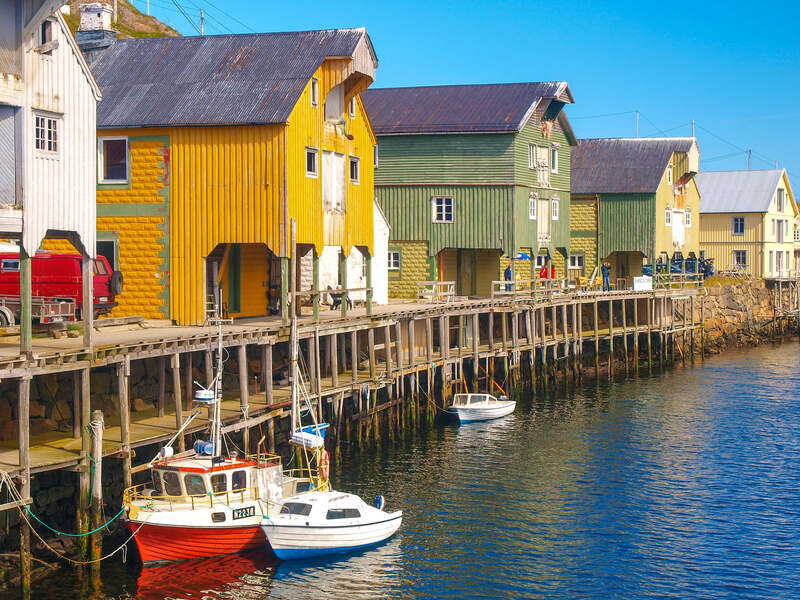 Bergen is Norway’s second largest city but one with a small-town charm and atmosphere. Upon arrival, private transfer to your hotel. BERGEN After breakfast, meet your private guide for a walking tour around Bergen including Fløyen funicular tickets. 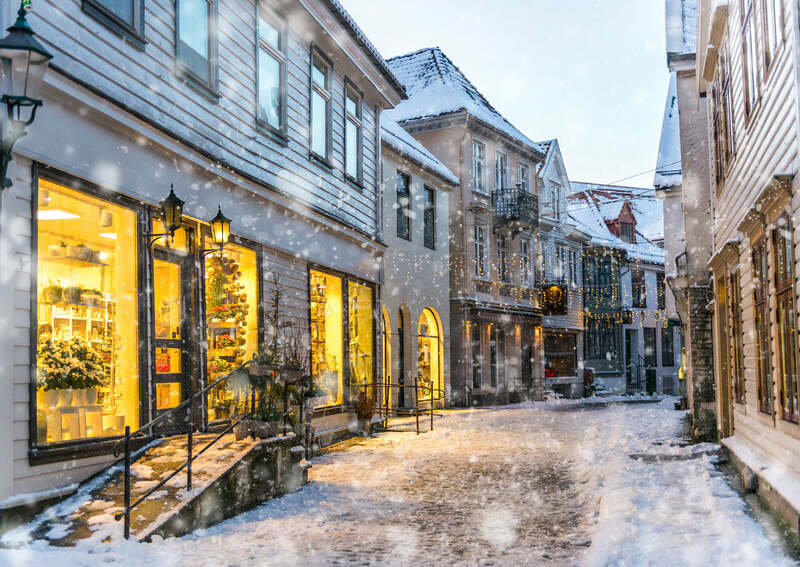 Founded more than 900 years ago, Bergen has roots from the Viking Age and beyond. 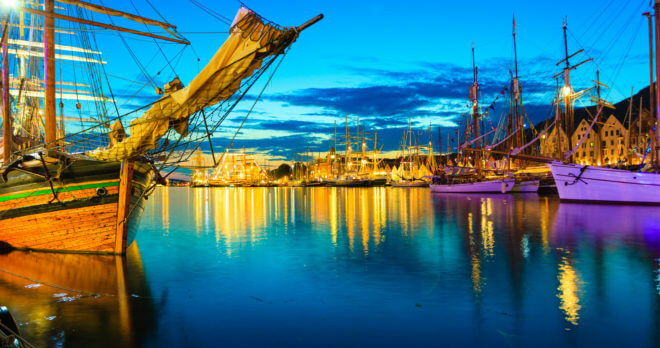 See various city attractions such as the fish market, medieval churches Domkirken and Korskirken, Bryggen wharf and the narrow crooked streets of the old town. Take the Floibanen funicular to the top of Mount Floyen to enjoy beautiful views of Bergen, study the cityscape, the seaward approaches and fjords surrounding Bergen in detail. At the top there is also a restaurant, cafeteria and souvenir shop. Enjoy the rest of your day at leisure. 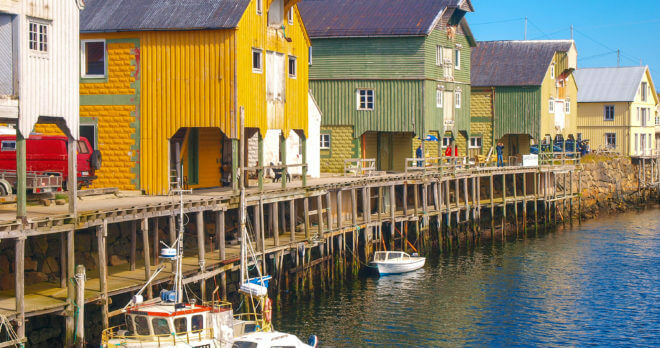 BERGEN – STAVANGER After breakfast, check out of your hotel and private transfer to the pier. Take the beautiful sea route between Bergen and Stavanger. 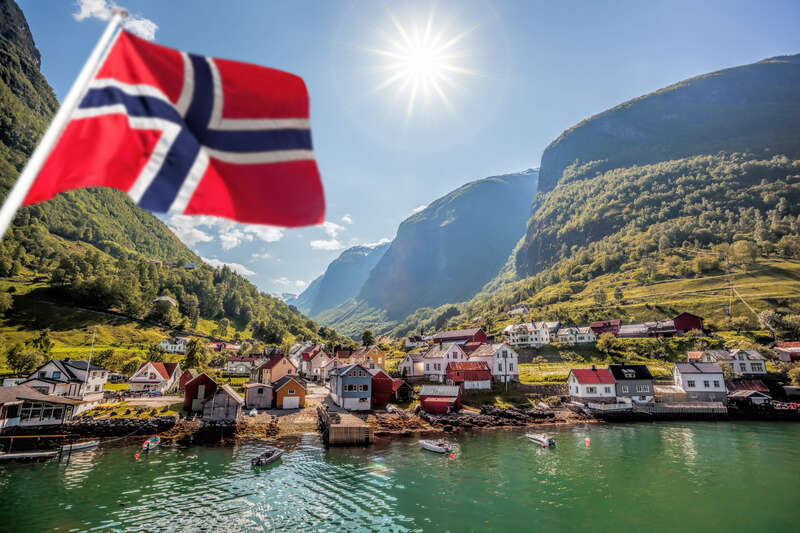 On board MS Stavangerfjord or MS Bergensfjord, you can recharge your batteries and enjoy a good meal in one of the many on-board restaurants while you admire the fjords and the Norwegian coastline. Upon arrival in Stavanger, private transfer to your hotel. Stavanger is both a university city and Europe’s oil and energy capital. Many different nationalities are attracted to the region, making it a highly international destination. 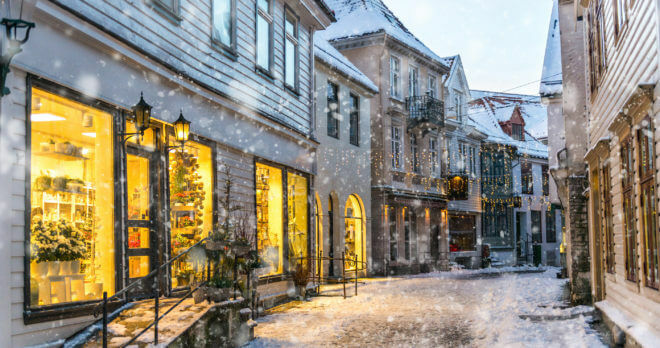 This is all reflected in Stavanger’s urban and lively atmosphere, with cutting-edge food menus and a booming cultural scene. STAVANGER Breakfast. 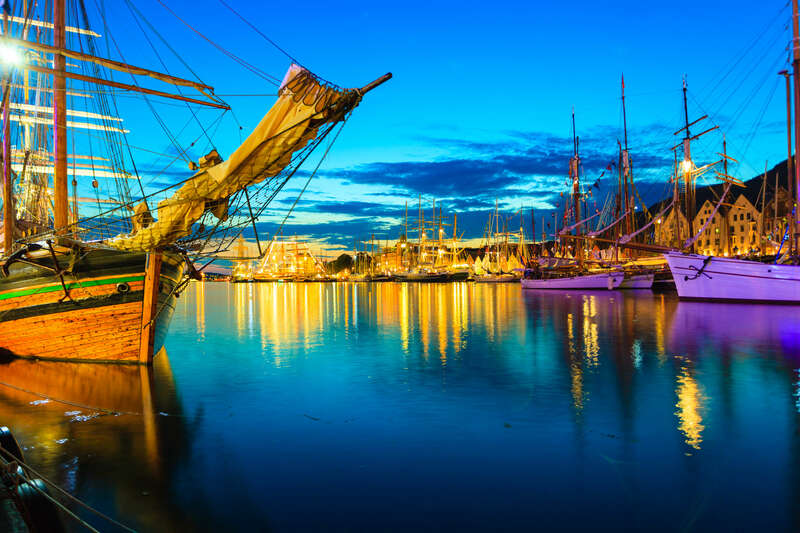 Enjoy your day at leisure in Stavanger, famed for its many natural attractions and old wooden houses. 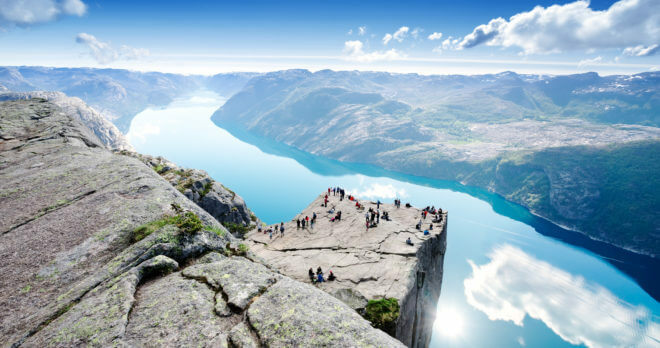 We highly recommend a moderately demanding 6km hike of Pulpit Rock, also known as Preikestolen, a glacial rock formation 604m above Lysefjord. It is one of the most popular tourist destinations in Norway; some hike at night to capture spectacular and magical sunrises. STAVANGER – HOME Breakfast at your hotel. Check out of your hotel and take your private transfer to the airport to board your homebound flight.